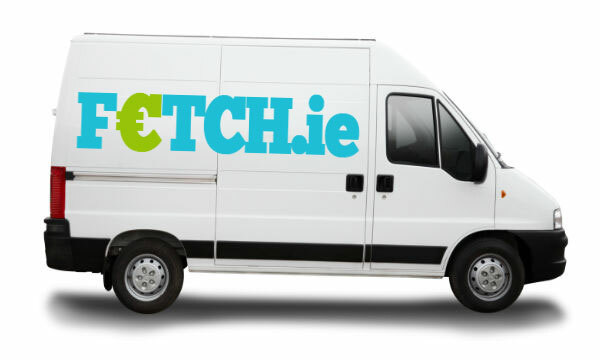 In the Republic of Ireland you must have van insurance to drive legally. The minimum coverage is third-party limited insurance; auto insurance is attached to the driver of the vehicle, not the vehicle itself, so it is important to maintain that minimum coverage. The only exception would be if you have a Statutory Off-Road Notification (SORN) that announces your van as being an off-road vehicle. Being stopped without insurance can bring steep penalties to you as a driver, and can also leave a blemish on your record. Are you Driving a Van? Whether you drive a crew cab, pickup, transit van or tipper, you qualify to obtain van insurance. In addition, it doesn’t have to be a private use vehicle. If you own a company or even have a side business that requires a commercial van, you can add insurance to keep yourself safe from legal trouble or financial woes should you be in an accident. As long as your vehicle doesn’t surpass a weight of 3.5 tonnes you should be able to find van insurance to match your needs. The amount of coverage you require for your van may differ depending on what you use your van for: Do you transport goods or run a business with your van? Or is your van used as your primary form of transportation? Have you modified your van in any way? Each insurance policy has a unique type of coverage. Third Party Only: This is the minimum cover the law requires. It only pays for damage that you do to other vehicles, property or people. It will not cover damage to your van or personal property. Comprehensive Cover: As its name implies, comprehensive insurance covers most damage that is caused in an accident, regardless of fault. It will cover injury to you, your passengers and those in the other car, as well as damage to the vehicles and property. Fire and theft is also covered with comprehensive van cover. Finally, most agencies will provide a courtesy car for you to use while your van is being repaired. As with most kinds of insurance, van insurance providers often offer extra cover options to go along with the primary services. Legal Cover: In the event that there is legal action brought against you as a result of an accident, this extra cover can help defray some of the costs associated with hiring representation and paying court fees. Breakdown cover: This coverage handles costs associated with a van breakdown. Roadside assistance will come repair your vehicle on-site or transport it to a garage. You may be able to request a courtesy car while your van is being repaired. Tools Insurance: This additional cover will reimburse you for equipment or tools that might be stolen from your van. Goods in transit: These policies protect drivers who use their van for transporting tools, goods or materials for their work. It covers the cost of the goods if they are lost or stolen, or damaged in an accident. It can be intimidating to purchase van insurance with all of the companies in cyberspace offering free quotes and a myriad of coverage packages that seem to blend together. But choosing the right insurance package doesn’t just keep you legally responsible and safe, it also offers a peace of mind in knowing that you’re “covered” in any circumstance.